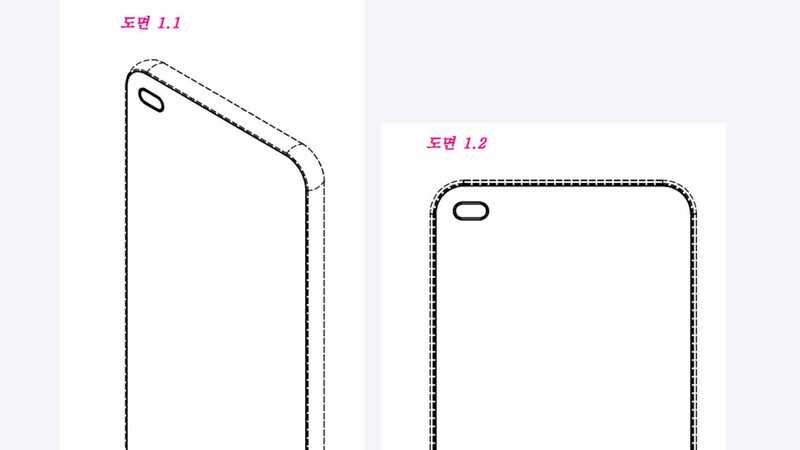 In a recent patent filing from South Korea, it seems LG is looking to evolve the notch by turning it into a hole. According to Let’s Go Digital , which first spied the patent , the idea behind the hole in the screen is to further reduce the footprint needed for a phone’s front-facing camera while simultaneously increasing a device’s screen-to-body ratio. However, there doesn’t seem to be an explanation for why the hole in the filing is ovular rather than circular, though that could imply LG intends to cram more than one camera behind its cutout. The worrying thing is that, while LG’s proposed display will probably shave off an extra percent or two of wasted screen real estate, the whole idea already seems inferior to the under panel sensor tech recently detailed by Samsung at its 2018 OLED Forum. To be fair to LG, it can take months for a patent to go from filed to published, at least in the U.S. And there’s no guarantee the company is actually going to incorporate this design into its devices. So while LG’s holes are probably a slight upgrade over notches, they still feel like another stop-gap measure in the overarching dream of creating all-screen phones.